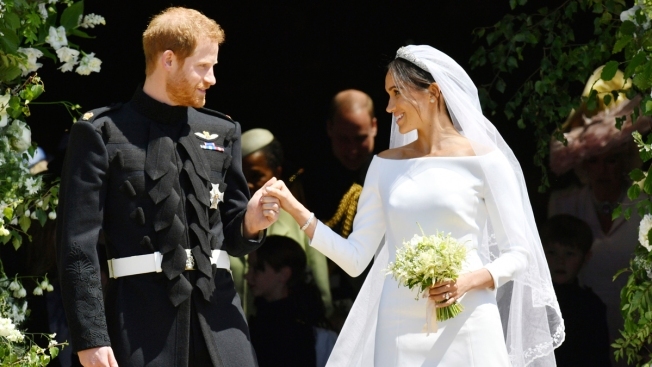 In this Saturday, May 19, 2018 file photo, Britain's Prince Harry and Meghan Markle stand on the steps of St. George's Chapel in Windsor Castle in Windsor, near London, England, after their wedding ceremony. The outfits Prince Harry and Meghan Markle wore at their wedding are to go on public display from Oct. 26, 2018 at the ceremony's venue, Windsor Castle. The outfits Prince Harry and Meghan Markle wore at their wedding are to go on public display later this year at the ceremony's venue, Windsor Castle. 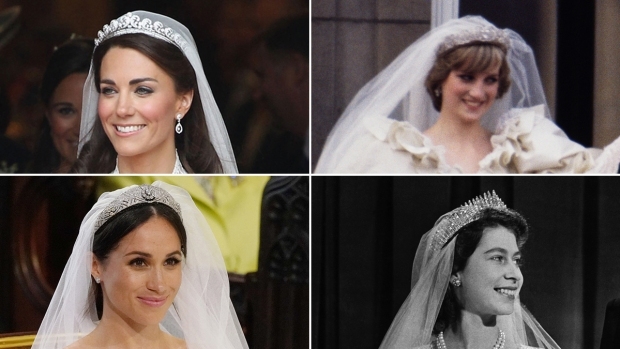 The exhibition "A Royal Wedding: The Duke And Duchess Of Sussex" will be at Windsor Castle from Oct. 26 to Jan. 6, and at Holyrood Palace in Edinburgh, Scotland, from June 14 to Oct. 6, 2019.